Not too shabby a property, but checkout that nice little reality check. 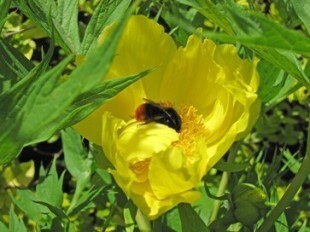 What on earth has it got a picture of a bee in a flower in its house pictures for? Garden looks nice. Although I wouldn't buy if there's bees there. They sting. 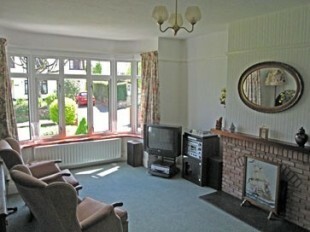 Nice gaff for the money, it's got me thinking..
Did they need to remove the beer bottles and syringes? Photoshop it with a flower and bee instead. Really? What's the average wage around there...? 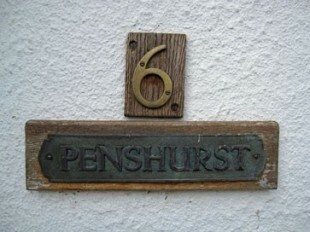 No it;s the house number that's £300k. The bee's free I reckon. Look at that prehistoric television. Take off another £50K. They haven't "invested" in the latest 3D HD Digital Surround Dolby Widescreen technology. You could do some high-fallutin' entertainin' from that country pile! Looks more like my sort of place. Though the description "There is excellent shopping within walking distance " is a little odd. You buy a lovely mansion house and then walk places??? How common you would have to be. My god I just saw why. Its sold off its land and a modern housing estate is surrounding it. Looks awful. £450k for a virtual stately home! - What's wrong with it?! Also, it's right by the river, which floods regularly in the spring. Worcester cricket ground slightly South of that house floods quite a bit. It's right by the river, which floods regularly in the spring. Worcester cricket ground slightly South of that house and further away from the river, floods quite a bit. So 450K is too much? What should I offer? Shame. Another local I see. Someone on here posted a fantastic place in Bevere a few years ago - 390K - came with a few acres - mock tudor and all that - 4 bed but looked bigger. Maybe it'd be okay if it flooded as this place looks to be standing on at least one storey anyway. Maybe it's the armoury? Droit de seigneur (French pronunciation: [dʁwa də sɛɲœʁ], "the lord's right", often conflated with the Latin phrase "Jus primae noctis"), is a term now popularly used to describe an alleged legal right allowing the lord of an estate to take the virginity of the estate's virgins. Little or no historical evidence has been unearthed from the Middle Ages to support the idea that it ever actually existed. edited: are there any virgins on estates in Worcester? Sold. So it is still possible to have a good time in the 21st century? That's one of my biggest bugbears. I see a nice house and the greedy sods have sold the back garden and ruined the property. with the Tories in power it could be.